In all of our eleven years we have never endorsed a candidate in a general election. Our default position as been to support the Republican nominee, as they are a more conservative and a better choice than their Democratic opponent. Well, there’s a first time for everything. The 4th Congressional is a gerrymandered mess, designed to keep Democrats entrenched in the seat. Anthony Brown is certainly nobody’s idea of a good leader, as we have clearly documented. The problem is that the Republican candidate is not a good alternative, either. The Republican nominee is George McDermott, a conspiracy theorist who has run alternatively as a Democrat or a Republican when the mood fancies him. As you can tell by the candidate survey he submitted during the primary, he is not a serious candidate for office. McDermott even went so far as to accuse Red Maryland of being part of a conspiracy to suppress him. Needless to say, we can’t support that level of nonsense. That brings us to Libertarian candidate Dave Bishop. Bishop, a resident of Anne Arundel County, is running on the type of small government platform that a conservative candidate should be running on in this district. He’s running to get Washington out of the lives of most Americans, including reducing our tax burden, enacting term limits, reducing the deficit, and market-based solutions to the environment. Bishop is even relatively pro-life, surprising for a Libertarian, in that he supports a federal ban of abortion after 20 weeks. Certainly we don’t agree with Bishop on everything, particularly his support of legalizing marijuana. But nobody can argue that Bishop is a candidate talking about serious issues providing a real contrast with the incumbent Democrat, something that the Republican nominee certainly is not. There is a first time for everything, and in this instance, the best vehicle for advancing conservatism is not the Republican nominee. 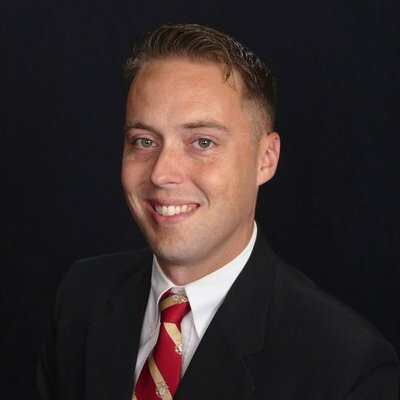 Therefore, the Editors of Red Maryland endorse Libertarian candidate Dave Bishop for Congress in the 4th Congressional District.